Sam Gordon is the 14-year-old female football player from Utah who has a dream of girl’s high school football becoming a reality one day. Sam began playing tackle football at 9 years old in a boy’s league and when there were no more leagues for her to play in, she looked for ways to continue playing. So, Sam and her father launched the Utah Girls Tackle Football League, and at the NFL Honors on Saturday night, she received the inaugural NFL Game Changer Award created to celebrate those who are committed to moving the game forward. My wife Sheryl absolutely loves the sport and, in my eyes, she’s the best football mom in the world. She’s one of many women across the country that love watching football, but there are also many young girls who love playing the sport. The reality is that women loving football isn’t something new. I’ve been working in sports for thirty years and I’ve worked with many female reporters who can run circles around some men when it comes to football knowledge. 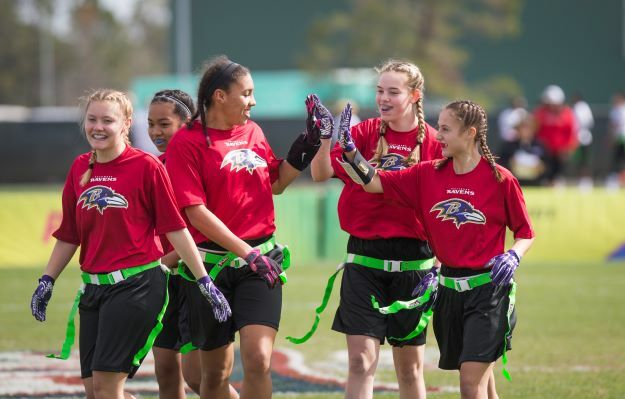 Even if a girl doesn’t want to play football, but wants to be a part of it, they can draw inspiration from women like Kim Jones of the NFL Network, CBS/ESPN play by play announcer Beth Mowins or NBC’s Michelle Tafoya. There are women holding significant jobs in the NFL, member clubs, USA Football, and other organizations as well as in the officiating world. For example, this recent post-season Sarah Thomas became the first woman to be an on-field official in an NFL playoff game. She was also the NFL’s first full-time female official and the first female to officiate a major college bowl game. I’ve known for quite some time how much women love football because I married one who does, I’ve worked with many who do, and my sons have had girls on their teams. Whether it’s a young girl that aspires to play like Sam Gordon, take on broadcasting like, Erin Andrews, officiate like Sarah Thomas or even become an NFL executive like Samantha Rapoport, there will always be a place in the football world for women.